At HTML24 we are fond of new knowledge. Especially leadership books are among the favourites in the quest for new inspiration – Maybe you will get inspired? At HTML24 we love to read. Today we talked about our favourite books and which we would recommend for others. It quickly became evident that literature on business, management and personal growth were in high demand. Several books were mentioned but some more than others were repeated. Exceptional books such as Extreme Ownership and Pseudo-work (Danish) were mentioned. Scroll down further to see our top 7 books on business, management and personal growth. Many of us know that in our ambitions and eagerness to achieve the best results, we take on jobs that do not create the value that we expect. This is referred to as Pseudo-work by Dennis Nørmark and Andreas Fogh Jensen, who are the authors of the book of the same name. The book has the subtitle: How we got busy doing nothing, which illustrates the importance of questioning a given task and assessing whether it creates real value. As ambitious people, we sometimes throw ourselves over meaningless tasks in everyday life, where the time spent does not relate to the quality that is created. We give this book our highest recommendations. “Everyone in account management has read Extreme Ownership. It is part of our onboarding process for new colleagues and is, therefore, an essential part of their learning. It is therefore read by everyone and helps to create the foundation for our work mentality and environment ”. Everyone must and shall occasionally act as leaders and guides. In other words, in the various departments, we must take responsibility – no matter how small it is. 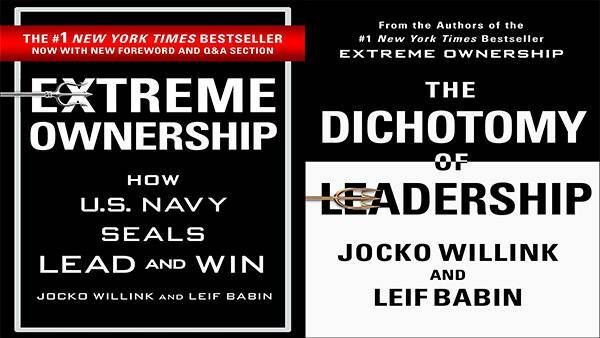 The authors of the book lean on their careers as Navy Seals, using examples of military battles, tactics, situations, training camps, to advise leaders on business management and understanding. We must all show an approachable and helpful behaviour – we must take responsibility for the situation and act as a team. It is our mission to ensure that the task is accomplished or passed on to the right colleague. The book is not just about taking responsibility. You have to take extreme ownership for yourself and your fellow colleagues. You need to acquire a mentality where you seek solutions and not excuses. 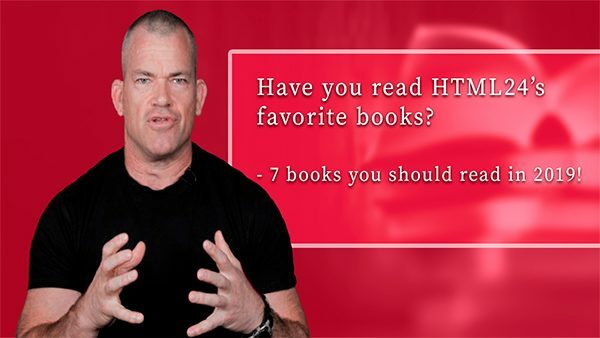 We set out to make a list of the books that we appreciate the most here at HTML24. We investigated and asked various employees in the office about which books they appreciate the most. Have you already read the previous books and would you like more suggestions? 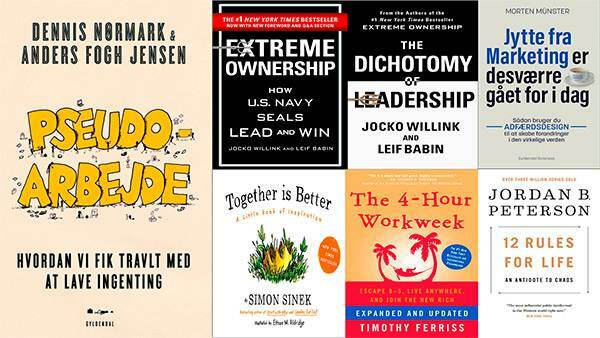 Then you can most certainly benefit from visiting our CEO, Bo Møllers, LinkedIn post, and read which books, podcasts and blogs he recommends. Join the debate and make your recommendations! We would love to hear what you have to say! 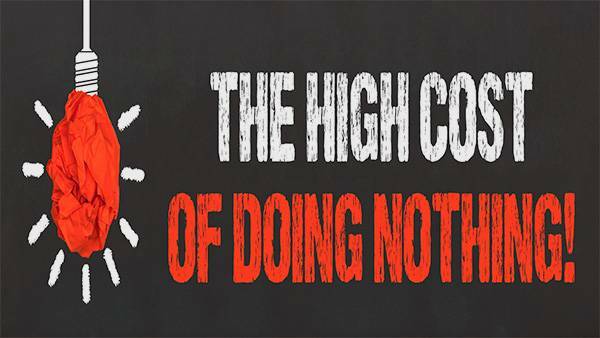 Here at HTML24, we can help you reduce activities that create too little value. Automate your manual processes and make room for more value-adding activities in your business. Give us a call or let us contact you in the box below. Together, we can streamline your time and potentially reduce pseudo-work for you!